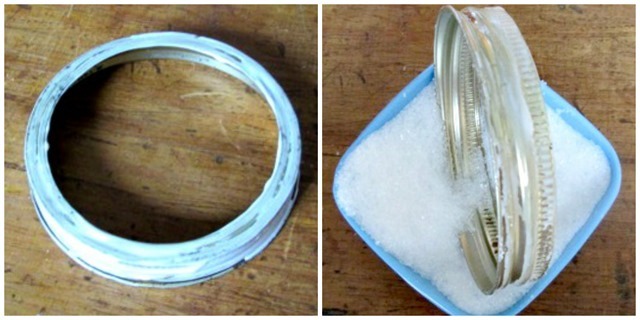 Begin by spreading glue all over the outside edge and front edge of the canning jar rings (you can use a brush but I find it works best to just use my fingers). Coat them with the Epsom salts – I find it works well to dip them right into the salts. Set aside and let these dry. 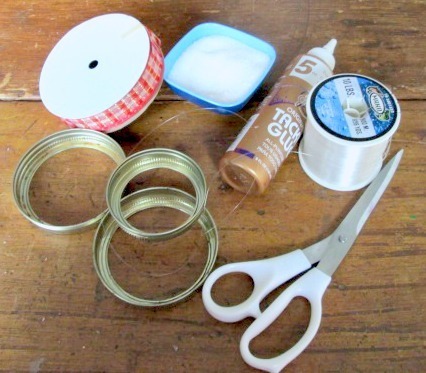 Tie the three rings together with the fishing line. Tie a piece of ribbon (felt, fabric) around as the scarf. You can add a dab of glue to hold it in place if needed but I haven’t found that was necessary. Tie on another piece of fishing line to serve as a hanger for this decoration. I’m hanging some of these in my kitchen windows for the holidays. It’s so pretty the way it sparkles and glistens in the light. Be sure to click on the button below to check out the rest of the Craft Lightning projects each day this week! Awe you know just how to get to me! Love him! This is such ansy and cure idea to get my graandchildre to help me.The snowmen are adorable.Thanks for sharing such a cute idea foe christmmas decorating. I love this! So simple and classy! This is such a cute and simple design. Super fun! Oh wow, those are adorable… I wish I had a tree in the front yard that I could hang some off of! Oh my gosh, this is so cute! I love it! What a cute idea! Love the glitter! 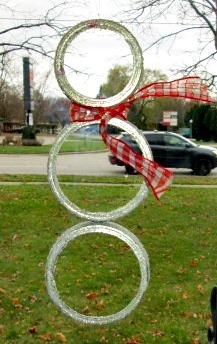 What a fun snowman craft–and my daughter says she likes the sparkle that you added! 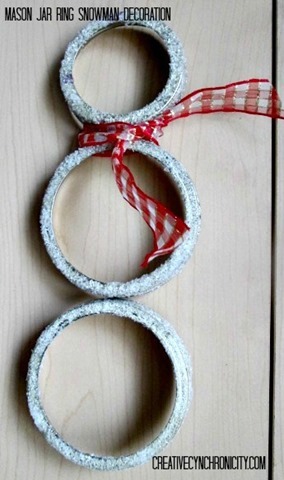 Very creative and looks fun to make! 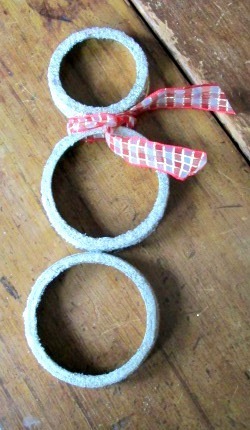 super cute for the holidays, I need to craft more I think!